We booked the cheapest accommodation we could find in Hong Kong. It ended up being one of the strangest buildings we have ever encountered. In fact, it’s not one building at all. Chungking Mansions consists of five 17 story buildings linked together via a shared base. This labyrinthine complex started out as an upmarket residential estate in the 1960s. Many have compared it to the old Kowloon Walled City, a dense ghetto during the British colonial era. Yet, Chungking Mansions is not as crime-ridden as the walled city (demolished in 1993). 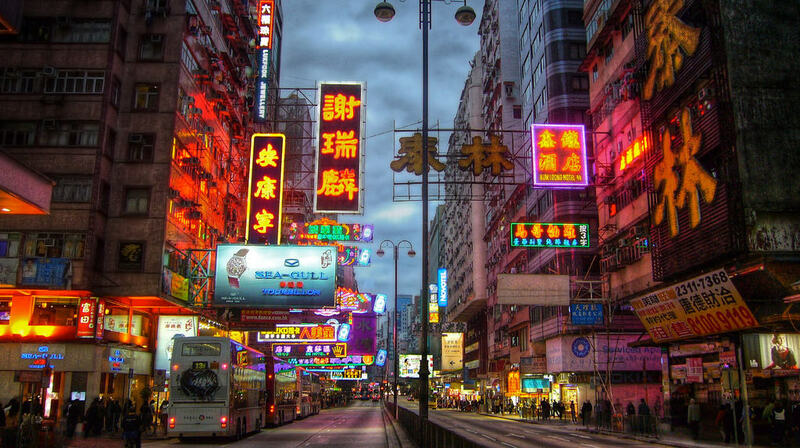 If Chungking Mansions were a dish it would be chop suey, (which translates to “assorted pieces”). It’s a jumbled together mess of various ingredients, thrown into a hot pan and bound together by spice and pressure. This strange mix of people and businesses seems to have no sense of order or reason – just a flowing organic relationship to itself. But it’s more than just a stew of random phone shops, curry restaurants and dilapidated hotels – it’s unmistakably alive. It is a human beehive with countless stacked honeycombs, swarming with activity. The building feels like a spreading cluster of mould, growing according to it’s own primitive patterns. Perhaps Chungking Mansions grows and changes in the way that a snowflake or a crystal forms. New sections seem to bloom overnight, expanding and filling the endless building. Chungking Mansions feels like city within a building. Endless corridors are packed with mobile phone shops, curry restaurants, hostels, clothing stores, foreign exchange offices, sari shops and more. If you are looking for a second hand iPhone, a Bollywood DVD, a tailored suit or a fake Rolex, you’ll find it here. Salesmen harass you are the entrance, trying to persuade you to buy their wares. 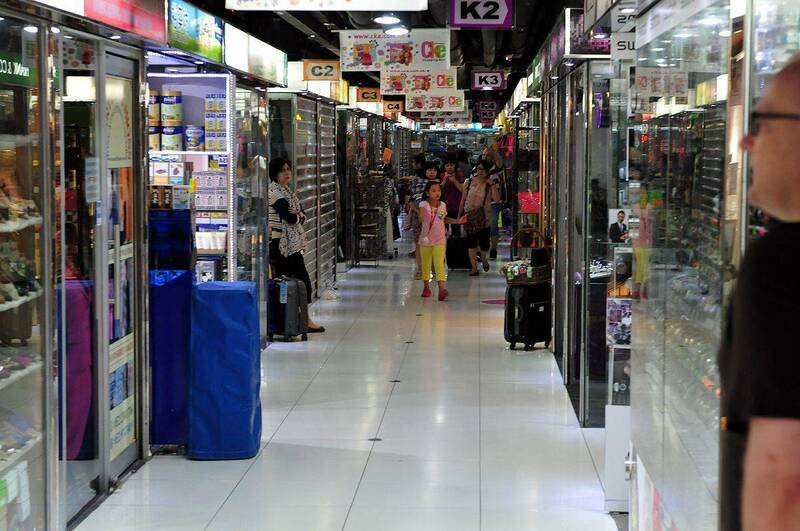 Many shops within Chungking Mansions deal in “parallel goods” aka products on the “grey market.” This means that they are not necessarily on the black market, but they certainly aren’t being sold in the way that was intended by the original manufacturer. Usually the vendors will buy the product in bulk at wholesale. They will import it legally, then sell it at a price high enough to make a profit but still below the normal retail price. For many people, Chungking Mansions represents opportunity. It is a place where they can carry goods back in their suitcases and have a chance to make a living for themselves. According to this CNN article, the traders can make between $400 and $1,300 per trip, which goes a long way. The number of business deals that happen within these walls every day is staggering. Sometimes the electronics are “14 day phones.” European customers return them under the “14 days after the date of purchase” policy. Retailers buy them at a discount and then sell them on. 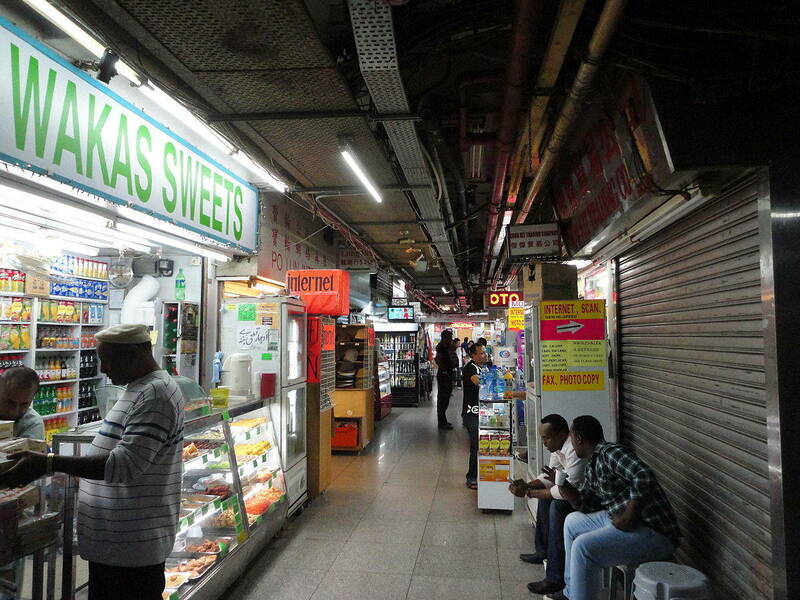 Approximately 20% of mobile phones in use in sub-Saharan Africa came through Chungking Mansions. Above the phone shops there are guest houses and hotels, as well as brothels. The rooms are tiny. We stayed in a hotel within the warren of Chungking Mansions winding hallways. Our room consisted of a bed and a small amount of floor space around it. I opened up the window and looked out over the street – concrete around me and a sea of honking traffic below. 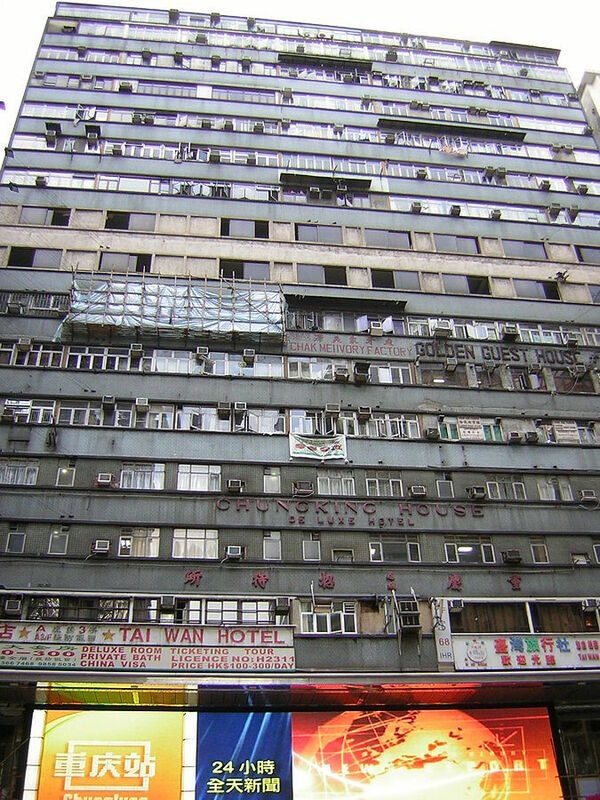 Approximately 4,000 people live in Chungking Mansions. 130 different nationalities live in or pass through the building every year. An estimated 10,000 people enter or exit the building every day. 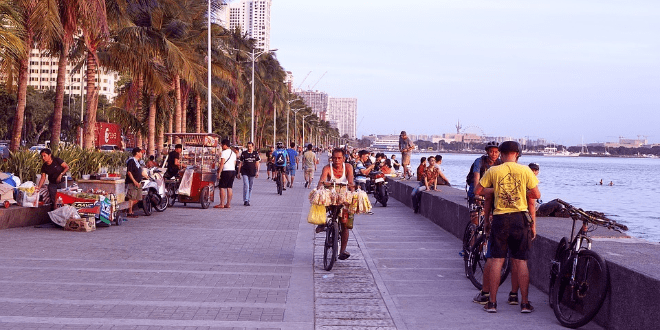 It might seem like a pretty unsafe place – but although it is quite sketchy it is also pretty secure. There are around 330 CCTV cameras throughout and security staff watch the building. This article suggests that Chungking Mansions has been cleaned up recently, becoming more of an orderly place. The sale of fake goods and sketchy services is on the decline. More legitimate businesses such as restaurants and hotels are thriving instead. There was one night when Lee and I went to eat in an Indian restaurant that we saw on TripAdvisor. One of the reviews had said something like “Great Indian food, on the set of Blade Runner.” That’s exactly what it felt like. 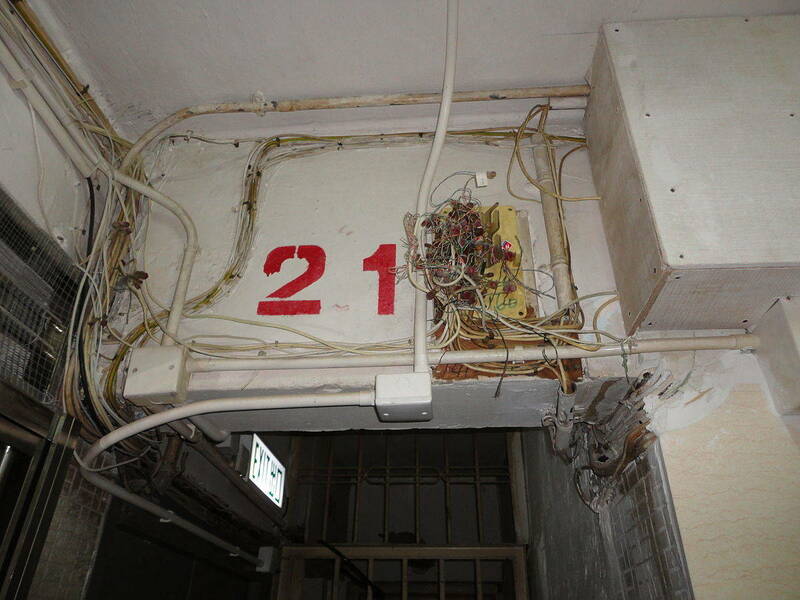 We wandered deep into the maze of corridors in the belly of Chungking Mansions. We ventured down endless hallways in this futuristic dystopia. The florescent lights flickered as we passed exposed wiring and a faint damp smell. We finally arrived at an unassuming doorway. We went through the door and suddenly we were in a busy, warmly lit restaurant. The chatter of the diners, the clinking of silverware and the rich aroma of curry filled with air. We settled into the plush red velvet seats and spread the white napkins on our lap. We feasted until our bellies bulged on steaming naan bread, tender mutton, fragrant pilau rice and cold beer. This strange and surreal building was called the “Best Example of Globalization in Action” by TIME Magazine. The Economist compared Chungking Mansions to the Mos Eisley Cantina in the original Star Wars. I completely understand the comparison. When you walk through you can imagine that you are entering a gritty intergalactic gathering point filled with strange characters from all corners of the universe. There are so many different corridors and stairwells connecting different parts of the building. It has a dreamlike quality. Have you ever had those dreams where you are in an endless building and no matter how many doors you open, staircases you climb or corridors you walk down, you can never seem to exit and see the sky? Well… I have (not sure what these dreams mean). Chungking Mansions made it feel like those dreams had come to life. So much happens within the walls of this building and it is a pretty fascinating place to stay. It seems like nearly everyone here is trying to make money and many of the businesses are just a front for slightly dodgy dealings that go on behind closed doors. Everyone’s story mingles together in this buzzing hive of rickety elevators, curry aromas, dim corridors and tiny rooms. There are two lifts in each of the blocks, one which serves only the odd numbered floors and one which serves only the even numbered floors. According to a 2013 survey that was conducted by the Hong Kong Baptist University, more than 70% of the over four thousand occupants in the building are from outside of Hong Kong. 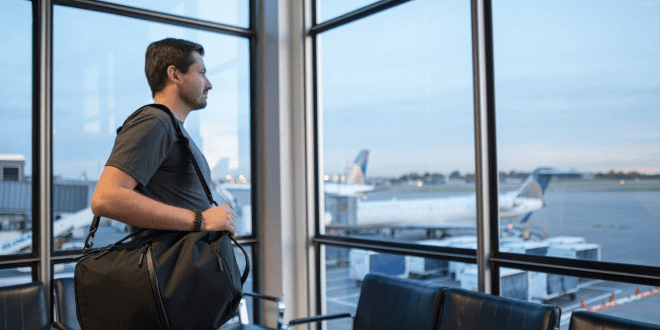 Travelers from more than 130 different countries check into the building every year. The building is the setting of a movie called “Chungking Express” by Hong Kong director Wong Kar-wai. The movie is about people being lonely, even though they live close together in a dense metropolis. If you are in Hong Kong, I recommend visiting Chungking Mansions. It offers affordable accommodation but even if you don’t want to stay within one of the cheap tiny rooms it’s worth visiting just to take a look around. 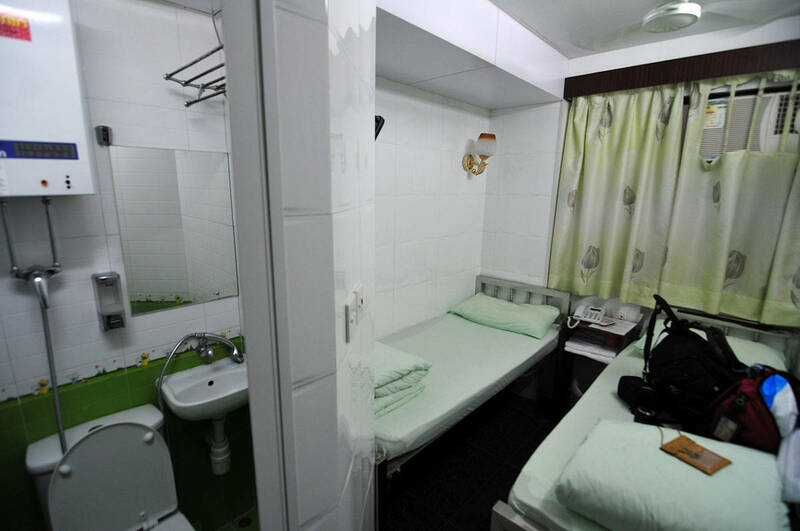 Check out this blog post for some helpful tips on what to expect when staying in Chungking Mansions and how to get the best price on a room. Although it is rough, dingy, claustrophobic and a little overwhelming, it’s also alive with character. It’s a universe within a building, a steaming bowl of chop suey, a microcosm of the global market and a fascinating place to explore. It certainly was! One I will never forget. ? It really is, isn’t it? It’s one of the most bizarre places we have ever stayed. I’m glad I had the experience!